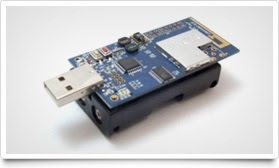 The Tmote Sky platform is a wireless sensor board system provided by Advanticsys. The Tmote Sky platform is a MSP430 based board with 802.15.4 compatible CC2420 radio chip. It consists of a 1 megabyte external serial flash memory and two light sensors. This is not a generic specification however is a good example of one of the application of this wireless sensor system. It is also called the mote platform. It is possible to program the platform for various different applications. The system itself possesses integrated sensors, a radio and even a micro controller. This system has a unique feature where it has the ability of going into sleep mode. This helps minimize the power consumption. Amongst the features that it possess, the radio provides a robust signal and fast data transfer. The Tmote Sky sensors have many applications in the sense that it can be utilized for several different kinds of network applications. Such sensor networks are very popular these days. They are popular in several areas like medical, commercial, domestic and industrial. The salient features include low power consumption, convenience to install, high data rate, highly safe and secure to use. Thus it is little wonder these device are rapidly growing in popularity.